August of 2019 marks the 30th year in the performing arts profession for this versatile performer and instructor. Dawn has worked in a wide a variety of positions over the past three decades: actor, singer, dancer, writer, director, choreographer, improv artist, puppeteer, graphic designer, motivational speaker, composer, songwriter, band leader, trainer, producer, builder, and the list goes on. In the theatre, Dawn has appeared in over 40 musical and dramatic productions, most of which ran for 2 to 6 months at a time. Favourite stage performances include the White Queen in "Alice Through the Looking Glass", Cricket in a commedia del arte version of "Pinnochio", Cecily in "The Importance of Being Earnest", and Ernestine in "The Anger in Ernest and Ernestine". She has also appeared in the western Canadian premiere of the musical "The Secret Garden" as well as "Anne of Green Gables", winning the Elizabeth Sterling Award with fellow cast members for best musical in their respective years. 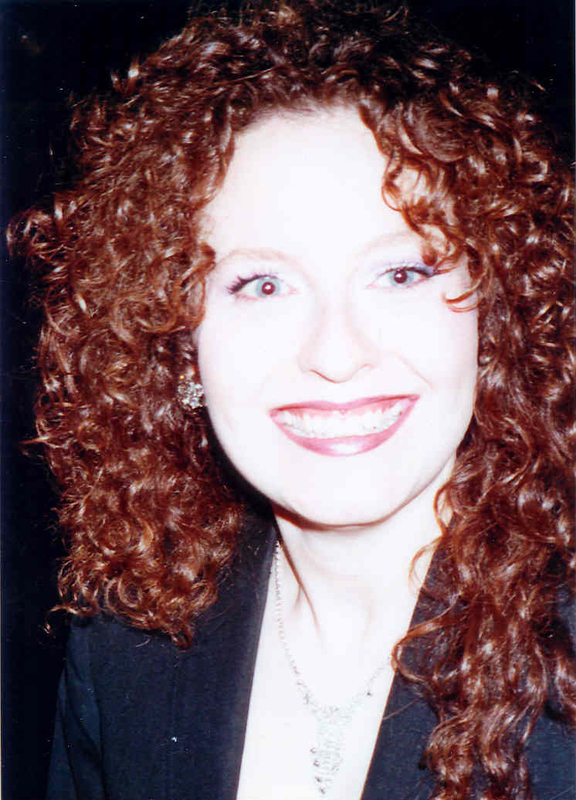 Many people still remember the comedic characters that Dawn developed in her shows for Celebrations (Regina, Winnipeg, and Edmonton) and Applause (Regina) Interactive Musical Revue venues. In 2001, Dawn started her own business FunTAZM® Entertainment and is responsible for all aspects of operation: administrative, marketing, and product development and delivery. FunTAZM celebrates its business anniversary on St. Patrick's Day every year, and continues to offer exceptional quality in live entertainment, training, inspirational & motivational speaking engagements, and creative services. She continues to work with children as Dynamic Dawn, Silly Science presenter and workshop facilitator; Giggles the Clown; Daisy the Dino Hunter; and as a Puppeteer, Face Painter and Balloon Twister. Dawn has been writing since elementary school, becoming editor of her school paper in Grade 8, receiving the Ann Walker Creative Writing Award in Grade 11, and had a number of creative articles published in her school newspapers and yearbooks during her high school years. She currently writes customized telegrams, songs, and full length scripts for FunTAZM®, and was also a lead comedy writer for a series produced by Emmy Award winning production company Partners in Motion. Dawn likes to develop new shows and in 2008, she debuted "Daisy the Dinosaur Hunter" for children at the Royal Saskatchewan Museum, and "An Evening with Frank Somantra", her one-woman show which debuted in February and eventually performed at the Conexus Arts Centre for a private booking in September. She now performs "An Evening With Melvis Crestley", receiving rave reviews from highly pleased audiences. Both shows were created, written, designed, and produced by Dawn herself. Active in the live music scene for many years, Dawn has been the band director and lead vocalist in a few bands, singing jazz as Jazz D'Alexis, blues and rock with Blue Dawn, and as a variety/dance band for weddings. Dawn released her debut CD album "Such-A-Bouquet" in 2005, composed and produced by herself and available Canada-wide in 250 retail outlets. She has also garnered rave reviews in her role as the singing ambassador "Pemmican Pearl" for the Buffalo Days Provincial Exhibition in 2006 and 2007. Dawn has always had a desire to help others. Upon learning about Rotary International's amazing work in the eradication of polio, she endeavoured to help them reach full eradication with a half hour video for ACCESS Communications, which she researched, wrote, and directed in an effort to raise awareness about the worldwide eradication of polio. The show aired twice weekly for several months that year. Dawn firmly believes that arming people with knowledge and awareness is a strong motivator for people to take action to improve their own or other people's situations. Her enthusiasm is certainly contagious! Dawn has been working with children since the early 90's, getting her start in teaching clowning workshops to elementary aged children throughout Alberta and lower British Columbia. She was also the Senior Instructor and Special Event Presenter for Mad Science of Northern Alberta, in charge of training other instructors as well as teaching after school science clubs, workshops in-class, and presenting stage shows for students in grades K to 6. Dawn also worked with children on First Nations Reserves and with groups of home-schooled children. She has always been recognized for her ability to interact very well with any audience, young and old alike, and is known to have "an uncanny ability to play to both children and adults at the same time." - Liz Nichols, Edmonton Journal. Here in Regina, Dawn developed and ran a Performing Arts Summer Camp Program for ages 5 through 17 before being invited to become a partner with the Week in Wascana Summer Camp Program. Other partners in this program included the Wascana Centre Authority, Saskatchewan Legislature Visitor Services, Royal Saskatchewan Museum, Mackenzie Art Gallery, Saskatchewan Science Centre, City of Regina, Conexus Arts Centre, U of R Kinesiology, and the First Nations University. During the week-long camp, each partner group presents their unique program in a half day session with children ages 7 to 11. FunTAZM® sessions were high energy and interactive, covering performing arts topics such as clowning, mask work, improvisation, staging basics, scene study, and character development. FunTAZM® was a partner for 5 years from 2003 through 2007. Through FunTAZM, Dawn also offers a variety of other services including creative services in the areas of writing, proofreading and editing, graphic design, creation and development of advertising, and web design projects. She has written for many mediums and clients, including a television series produced by Partners in Motion. An accomplished motivational speaker, Dawn is a true humanitarian and spreads her enthusiasm for life and love far and wide. If you ever get a chance to hear her talk, you will be inspired! Dawn has enthusiastic gifts and loves to lead others towards their better selves. Upon a request by a fellow Rotarian way back in 2003, she developed and continues to facilitate Team Building and Communication Workshops for corporate and community groups. Did we mention Dawn's extensive background in improvisation? It all started with Celebrations in 1989 and she's been going strong ever since. From facilitating an improv workshop in her early years with Saskatchewan Express to being the founding member of "The Comedy Potion", a sketch comedy troupe with weekly shows in Edmonton, this woman is regarded as one of the greater talents in the improv arena. She continues to share this talent with FunTAZ®mprov Games, Schtick It to Ya Sketch Comedy, FunTAZMingling, Customized Character Comedy, and Character Singing Telegrams, where she improvises on a script freshly written for the recipient based on details provided by the person hiring FunTAZM®. In September of 2016, Dawn started her second business, Crystal Rockin Mineral Shop, showing her longtime passion as a crystal collector and practitioner since 1990. While she has been semi-retired from show biz for a couple of years now, she continues to entertain but with a stronger focus on the inspirational speaking part of her repertoire. Dawn continues to live her authentic life with her neverending passion to heal individuals, communities, and the world in turn. Thank you for your support! Creator and originator of FunTAZM®, plus the many FunTAZtic Ideas and FunTAZ® derivatives, is Dawn Alexis Suchoboki. The original brainchild was developed in late 2000 and although created many months prior to the launch date for the website, FunTAZM® celebrates its business anniversary on March 17th every year. The ideas quickly grew and developed, with the wordlore derived from the root "funtaz" growing to over 100 entries. Check out the newly published e-book "FunTAZ®ictionary" which is an interesting and fun filled read, to say the least. To ensure you that you are hiring a professional who has extensive experience with live performance and training. © 2017 FunTAZM® Entertainment. All rights reserved. Design by NodeThirtyThree and Free CSS Templates.